South Africa’s Working for Water (WfW) scheme is a ground-breaking inter-sectoral, multi-disciplinary project that uses a PES approach to address social, economic and environmental challenges simultaneously. Launched in 1995, WfW was initially designed to tackle the proliferation of invasive alien plants, which crowd out native species, overwhelm ecosystems, impede agriculture, and exacerbate drought. Clearing these weeds is extremely labour intensive, and thus can provide jobs and economic empowerment for unskilled or marginalised communities where unemployment is highest. As of 2017, the scheme now creates around 50,000 jobs every year, and has expanded its focus to target economic support for the most disenfranchised: well over half its workers are underprivileged women, and the programme has ambitious quotas for young people, disabled individuals, and those living with HIV/AIDS. As well as jobs, Working for Water provides employees with education and training, health and reproductive care, rehabilitation for convicted criminals, childcare services, HIV/AIDS awareness courses, and savings programs. Working for Water currently runs over 300 projects in all 9 South African provinces, with a total annual budget of more than R400 million – the largest single poverty relief and public works programme in the country. These are largely funded by the government through poverty relief funds, but funding also comes from private companies who recognise the value of clearing invasive plants for their own businesses and are willing to pay for WfW’s services. 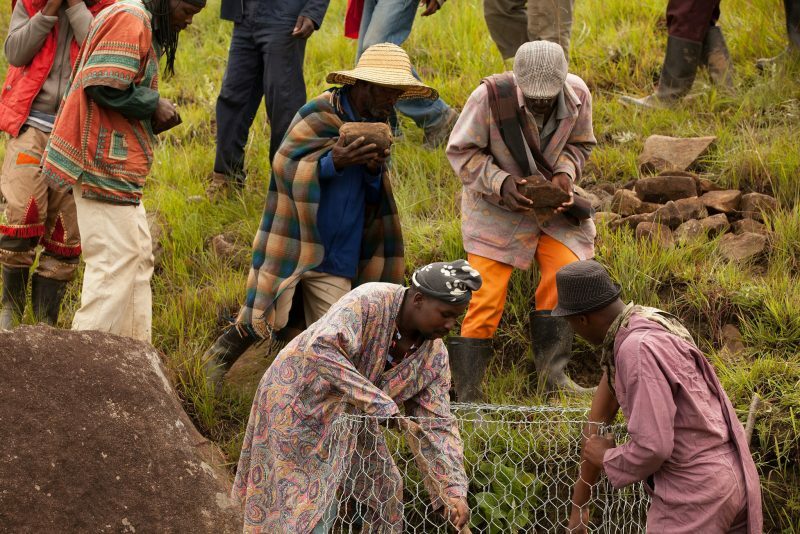 For example, in the Eastern Cape, local farmers pay around 60% of WfW’s costs for removing invasive species, and the forestry industry provides planning, mapping, vehicle donations, and training. The scheme is recognized as “one of the most successful integrated land management programmes in the world”, with more than 100 international awards to its name. Over 3 million hectares of invasive plants have been cleared to date, and has provided training and employment to over 300,000 people. The model of government-supported training, education and job creation in service of environmental goals has proved so successful that it is now being applied to fire prevention, wetlands conservation, and reforesting. Non-native species are estimated to cost South Africa billions annually in impeded agriculture, lost water supplies, and damage to biodiversity. It has been estimated that the clearing of invasive alien plants from riverbanks alone between 1997 and 2006 increased streamflow by nearly 46 million m3 per annum. This is especially vital considering South Africa’s worsening water scarcity. A continuing challenge is the balance between the scheme’s environmental and socioeconomic goals. Some Working for Water sites have been selected for political or economic reasons, rather than ecological impact. Immediate job creation in the short term has, on occasion, been traded off against natural resource protection that, in the longer term, would arguably protect many more jobs. Additionally, the combination of rapid expansion, technical and social complexity, political interference and staffing issues have put significant pressure on the attainment of Working for Water’s social development goals. Data-gathering in this field, to inform management decisions and the design of future social development interventions, remains vital to the future impact of the project.